Bangladesh (বাংলাদেশ) is the Eastern neighbour of India. I got a chance to see the city of Dhaka which is the capital and the largest city of Bangladesh. 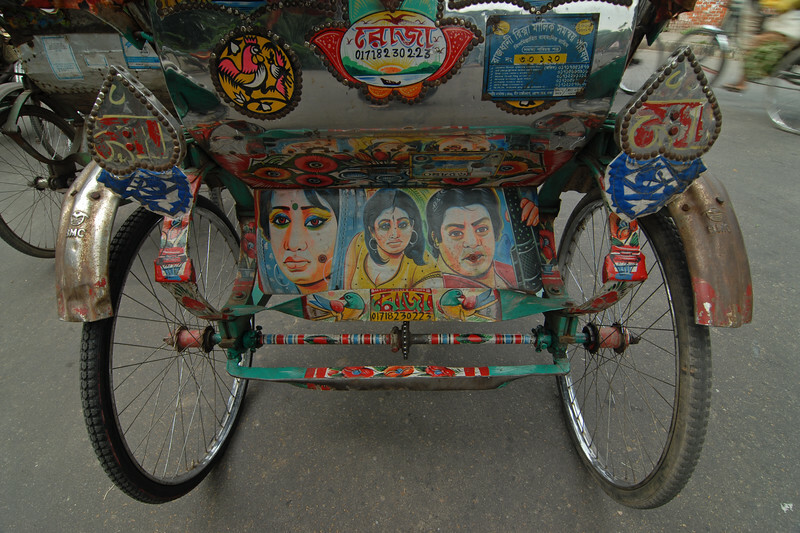 Colourful back side of a cycle rickshaw. Dhaka (Bangla: ঢাকা, pronounced [ɖʱaka])— (Dacca) is the capital city of Bangladesh (Bengali: বাংলাদেশ [ˈbaŋlad̪eʃ] Bangladesh). 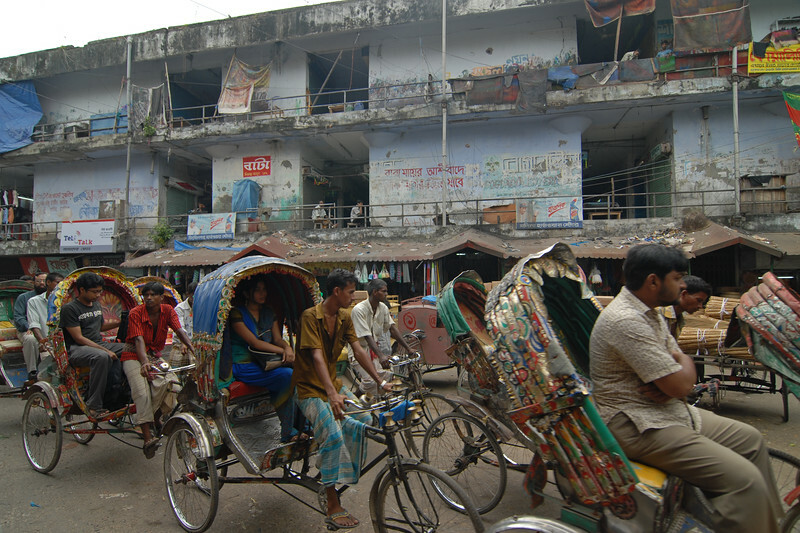 Dhaka, located on the banks of the Buriganga River is a megacity with a population of over 12 million. Dhaka is known as the City of Mosques and renowned for producing the world's finest muslin. it is a center for culture, education and business. 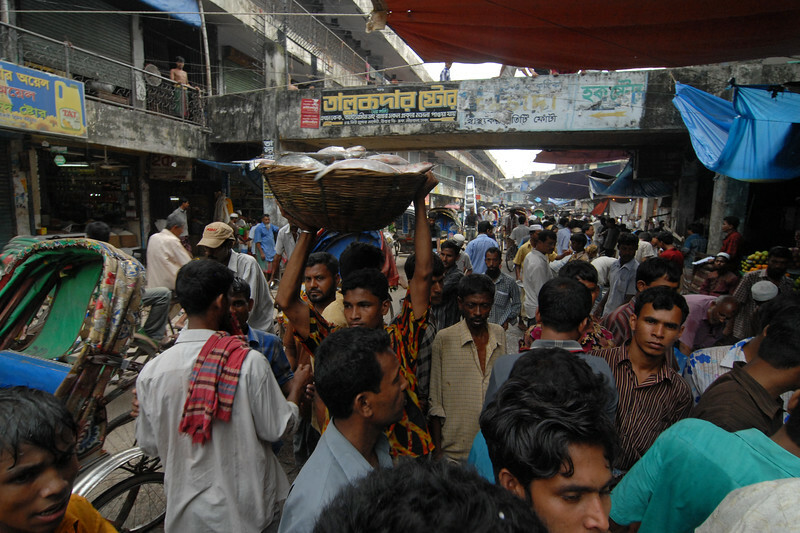 Fish market. 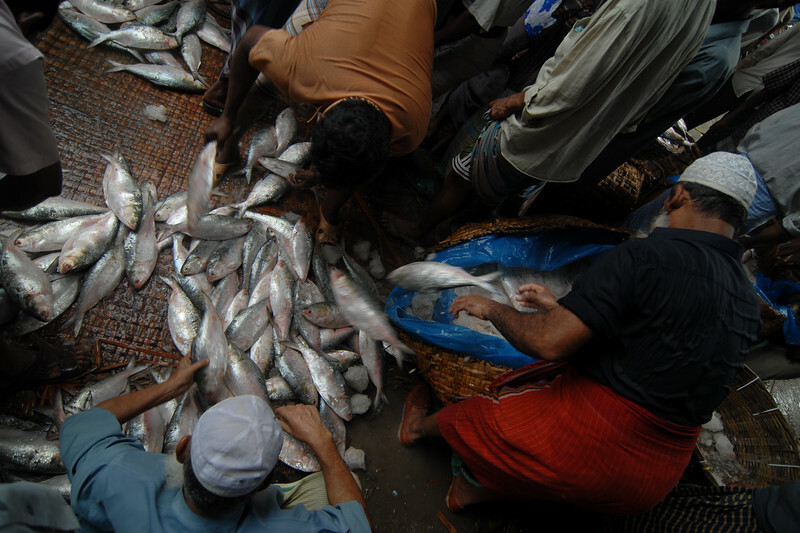 Fresh fish being chucked out of the ice and put on the ground for sorting and selling. 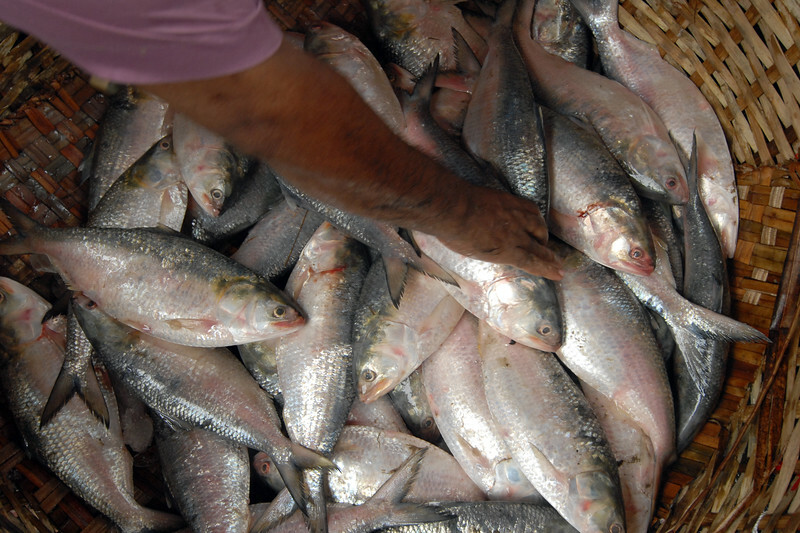 Fresh fish being sold at the Fish market, Dhaka. 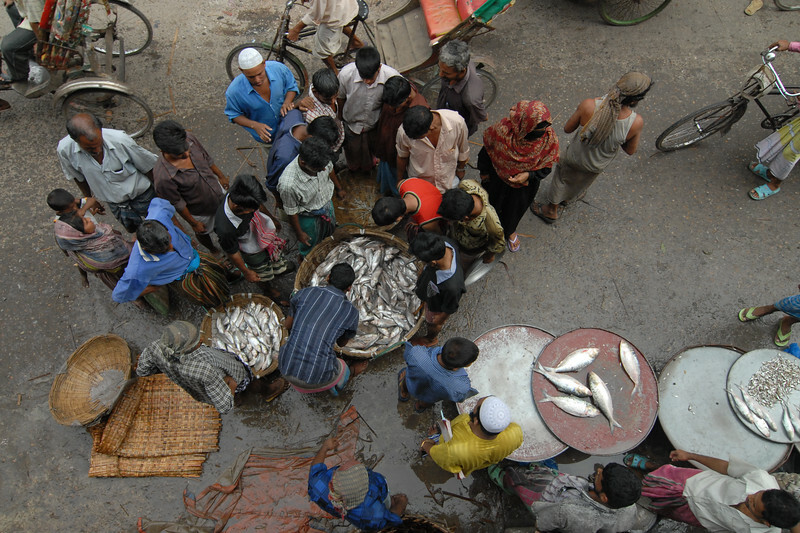 View from the top of the Fish market in Dhaka. View of Dhaka's Zia International Airport. 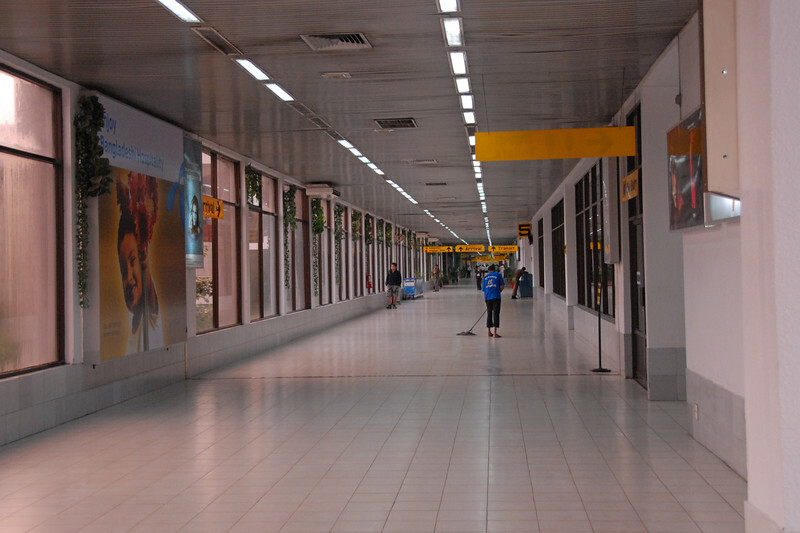 Zia International Airport (IATA: DAC, ICAO: VGZR) (Bengali: Zia Antorjatik Bimanbôndor) is the largest airport in Bangladesh located in Kurmitola, about 20 Kms North of Dhaka city area. 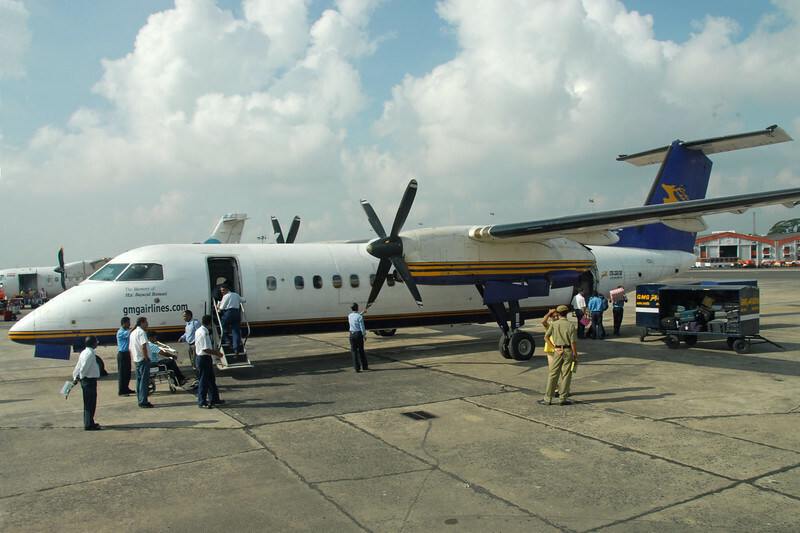 GMG Airlines of Bangladesh. Took this flight from Dhaka to Kolkata and then Indian to Mumbai.